Moshe Kahlon says he plans to return money to weaker sectors, plans to lower taxes. 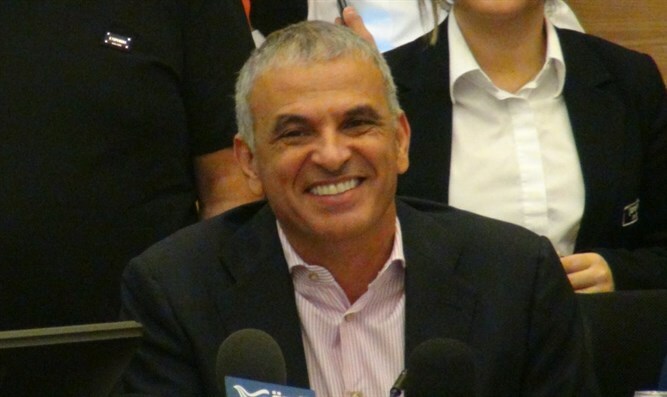 Finance Minister Moshe Kahlon (Kulanu) said on Saturday night that he plans to lower taxes in the near future. "We're about to lower taxes," Kahlon said in an interview with Channel 2's Meet the Israeli Press program. "We need to give money back to the weaker sectors of society. "We're seeing changes in the real estate market, and the pricing hike is starting to slow down. There's 12 years of damage to fix, caused by previous governments and ministers. They've left me a lot of work. "There has been a 45% rise in the number of deals signed in Rishon Lezion and Rehovot. We have a lot more work ahead of us, but what's most important is that we're not afraid. "We're under tremendous pressure. Right now, 8,000 young couples who never even dreamed of buying an apartment have already signed contracts. We've accomplished difficult things which no one has managed to accomplish before, including taxes. There was no choice. "My predecessors were afraid of the strong, and I know I'm paying a political price. I'm willing to take the risk so young couples can have an apartment of their own. "Those who claim taxing owners of three or more apartments will raise rental prices are abusing the situation. There's no reason rent prices should rise. The law is currently being examined by Israel's Supreme Court, and I hope a decision will be made within a month or two."